BANKS in Montreal or Quebec City? Inform me about the next events for BANKS. Enroll yourself to our priority waiting list for BANKS to be alerted when new tickets are available. Filling this form doesn't engage you to any purchase. 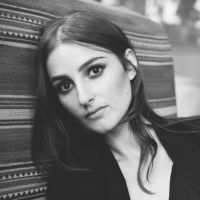 Get ready for BANKS, Montreal ! On June 5th, 2017, the young R&B singer from Los Angeles will be performing at the Metropolis. Her debut album Goddess was released in September of 2014. Two years later, she reemerged with a new album entitled The Altar. Don't miss this red hot new sensation of the electronica/R&B world live in Montreal !